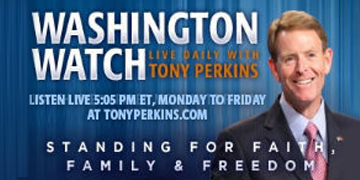 On Wednesday's edition of "Washington Watch with Tony Perkins" Ambassador-at-Large for International Religious Freedom Sam Brownback joins Tony to highlight the testimony Mihrigul Tursun recently shared with reporters in Washington, D.C., on the torture she experienced at a Chinese detention camp where thousands of religious minorities are being detained. Sen. Tom Cotton (R-Ark.) is here to share how the Trump administration and Republican senators are working to pass a criminal justice reform bill in the lame duck session. Also, Rep. Jody Hice (R-Ga.) joins Tony with an update on what's happening on Capitol Hill. From parking tax provisions to the Johnson Amendment -- we'll get the latest.